I never thought I'd say it, but sharks are awesome, as evidenced by this Tumblr feed. 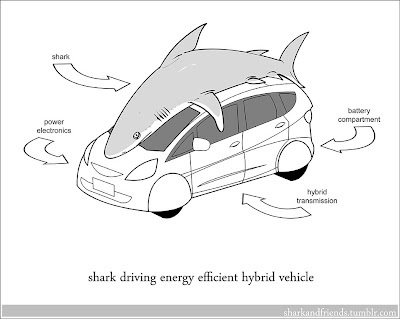 Especially this ridiculous hybrid-vehicle-driving ("driving") shark. So yeah. Dammit. This is going to have to be another feed I follow daily.